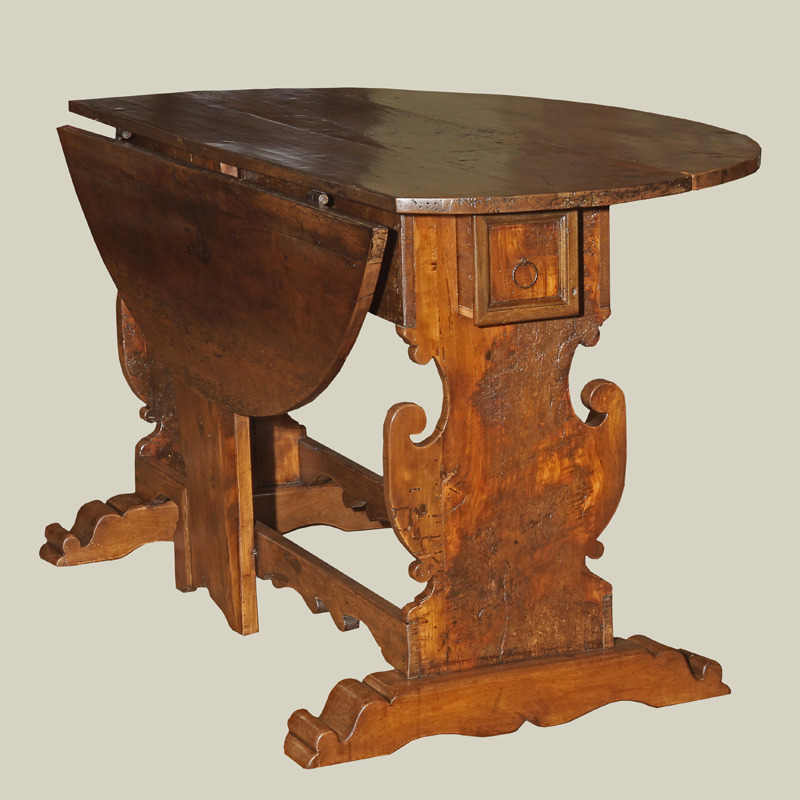 RARE TUSCAN BAROQUE PERIOD WALNUT FOLDING TABLE; the unusual vasi form supports opening to accommodate the leaves. Overall wonderful faded color. 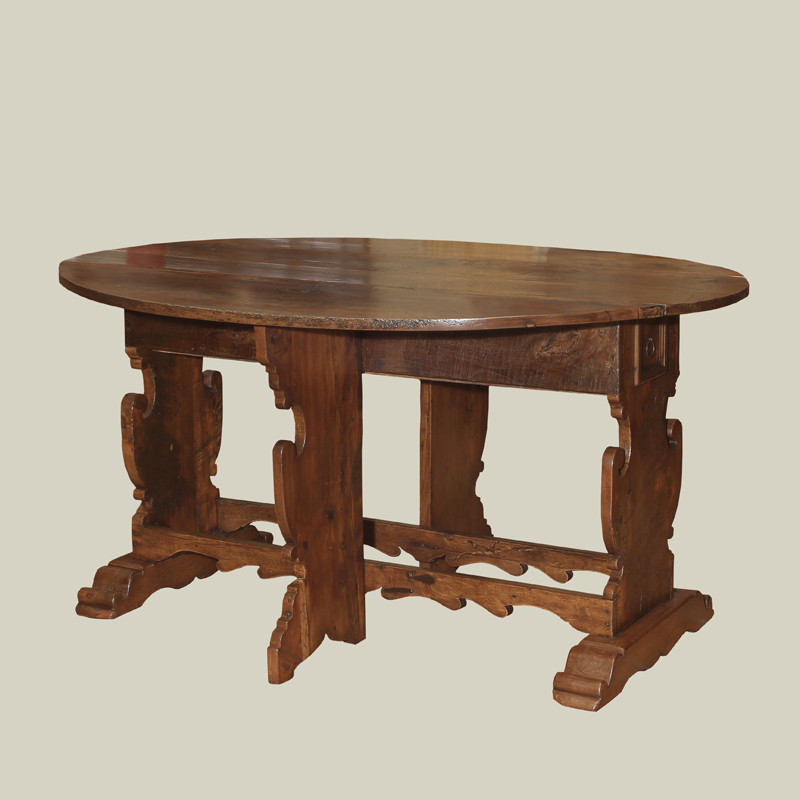 Circa 1700.